I didn't make as much progress as I would have liked, but it was a very busy week. 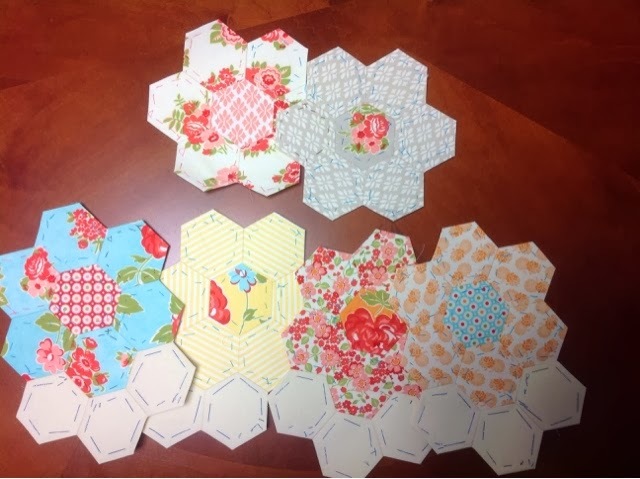 I finished two flowers and added the border hexagons to four sections. I plan on stitching more sections to the quilt next week! I am linking up with Jessica at Life Under Quilts for the Monday Morning Star Count. Great progress and lovely colours too. I love your feminine fabrics!